Dr. Andrew Price, board certified in vascular and interventional radiology, as well as in diagnostic radiology, graduated from the University of Arizona College of Medicine – Tucson. He attended an internship at Banner Good Samaritan Medical Center and completed his residency at Ronald Regan UCLA Medical Center, where Dr. Price also underwent a fellowship training program. With a practice experience of nearly 20 years, Dr. Andrew Price is a member of the Society of Interventional Radiology as well. 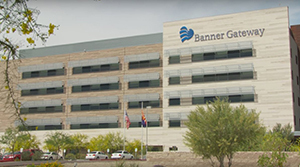 At the time, he practices at Banner Gateway Medical Center in Arizona.